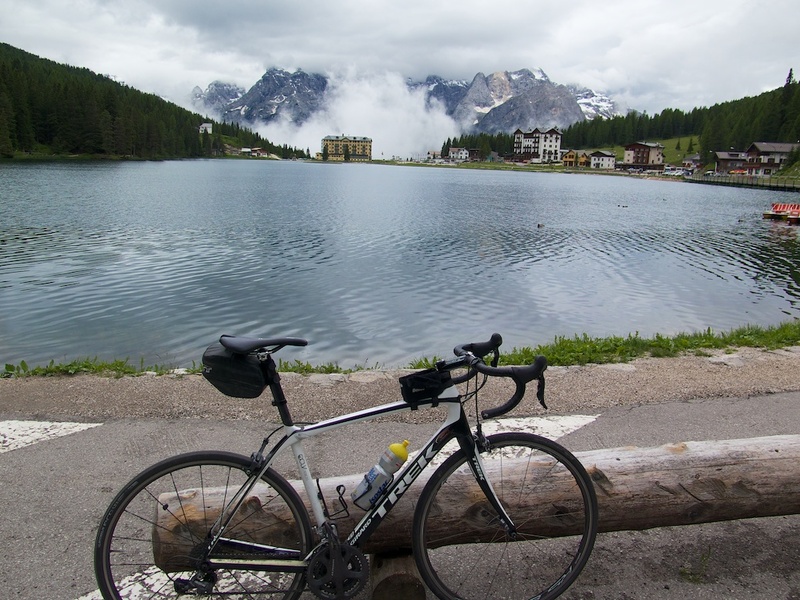 I had been looking forward to cycling to Tre Cime di Lavaredo for a long time. Sadly the weather was not great, but this ride — along with the amazing hike we did after — were both terrific. 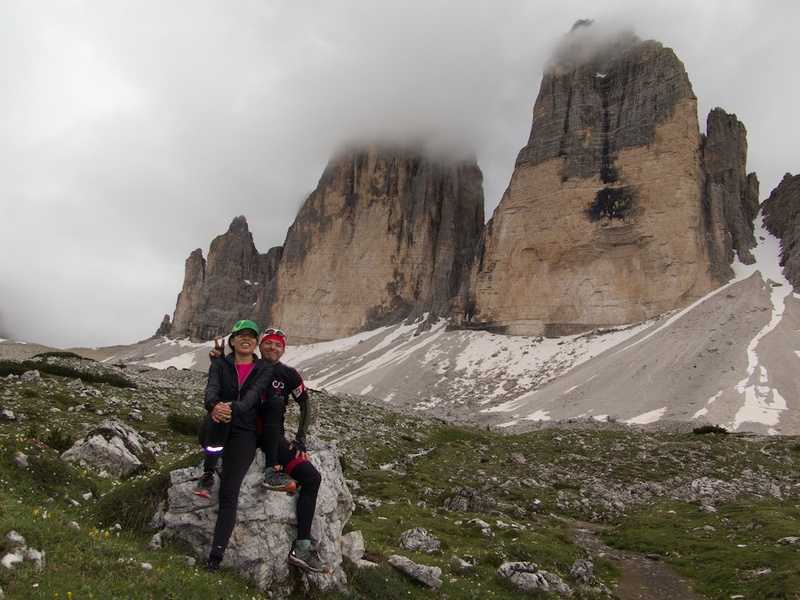 Starting in Cortina d’Ampezzo, Doreen followed me in the car to the first goal: Passo Tre Croci. 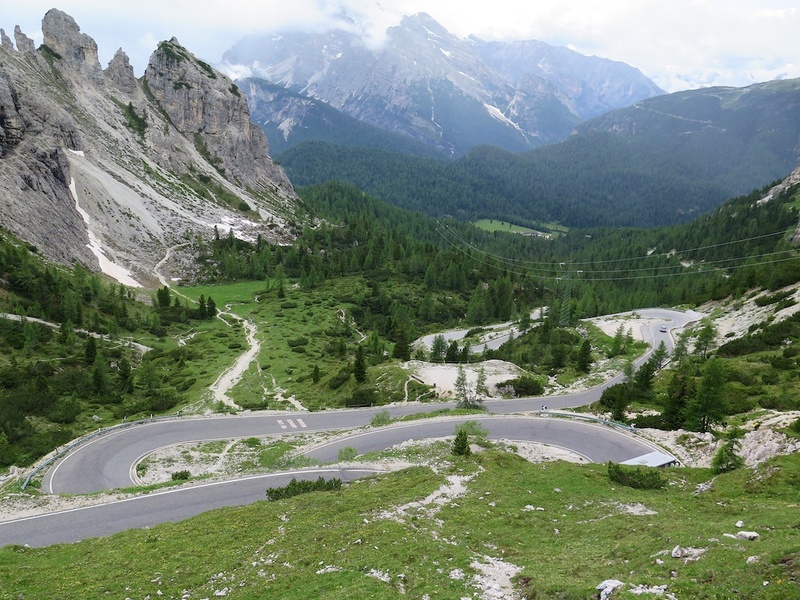 It’s a pleasant, short climb surrounded by big Dolomites. A couple of 12% signs to keep me honest. 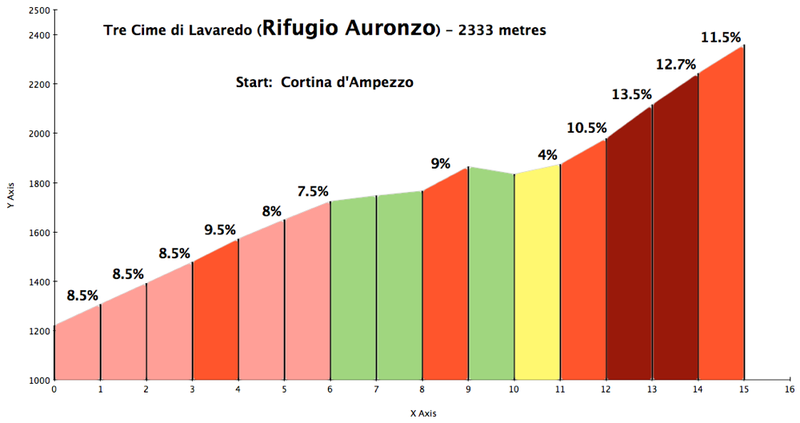 The Giro d’Italia has cycled up to the Rifugio Auronzo 7 times. First in 1967, and most recently Nibali won a stage here in 2013. It’s hard to describe how beautiful it is here. I have no good photos of the road as it was drizzling and I was just struggling to pedal the last, super steep three kilometres. 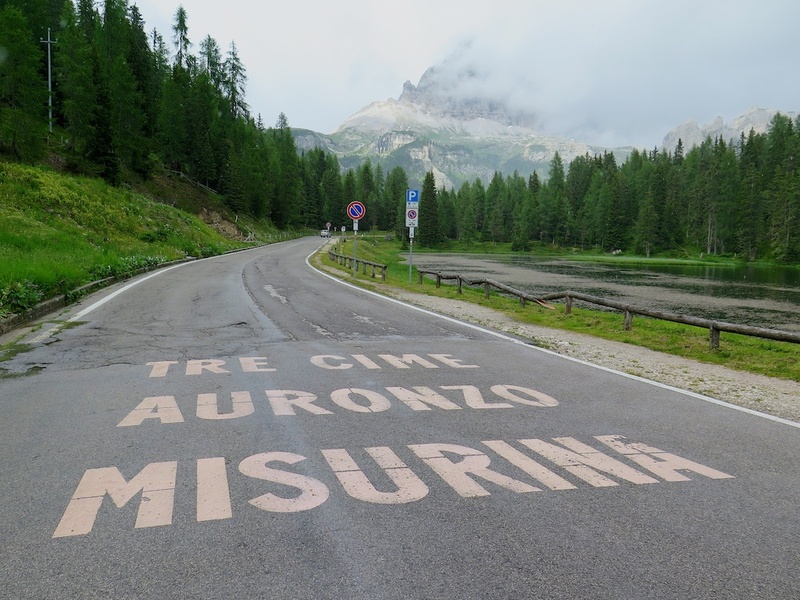 A Belgian friend had warned me that Eddie Merckx had called this one of his hardest climbs (he won a Giro stage here in 1968). It’s very, very hard work. Note, for the purists, the paved road continues slightly above the rifugio (2333 metres) up to perhaps 2360 metres – a parking lot. 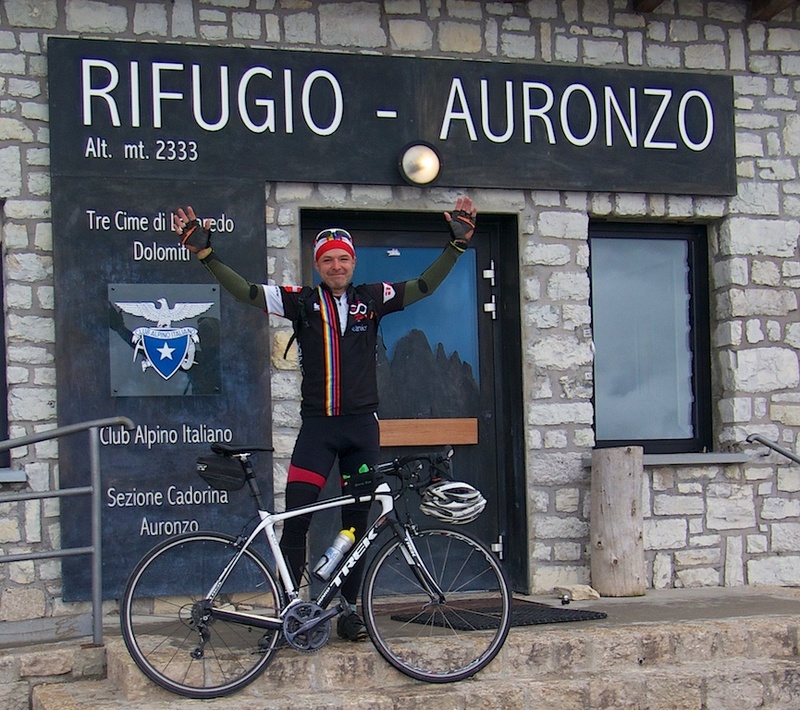 We threw the bike into the car and had a very tasty pasta and cake lunch at the rifugio. From here we went on a truly, truly great hike. Basically we walked around the Tre Cime (three peaks). 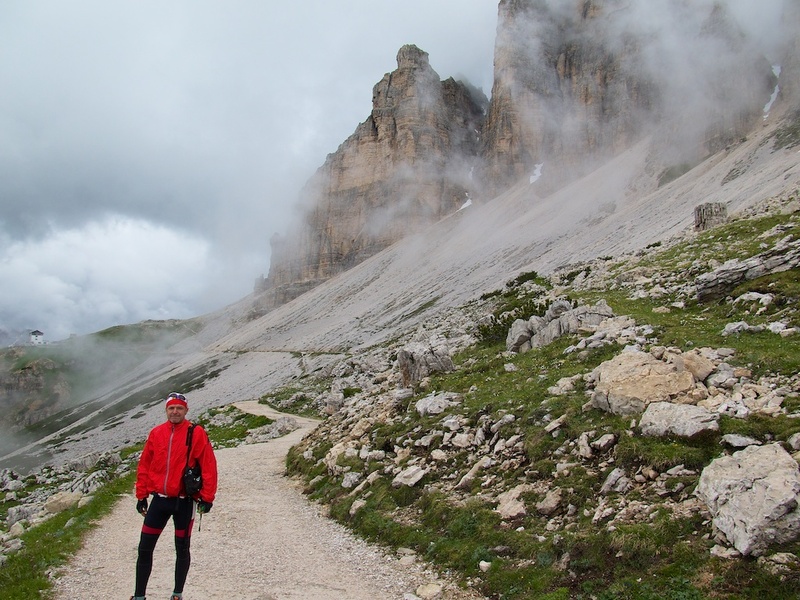 At first it is a flattish, unpaved, good quality trail to the rifugio lavaredo. 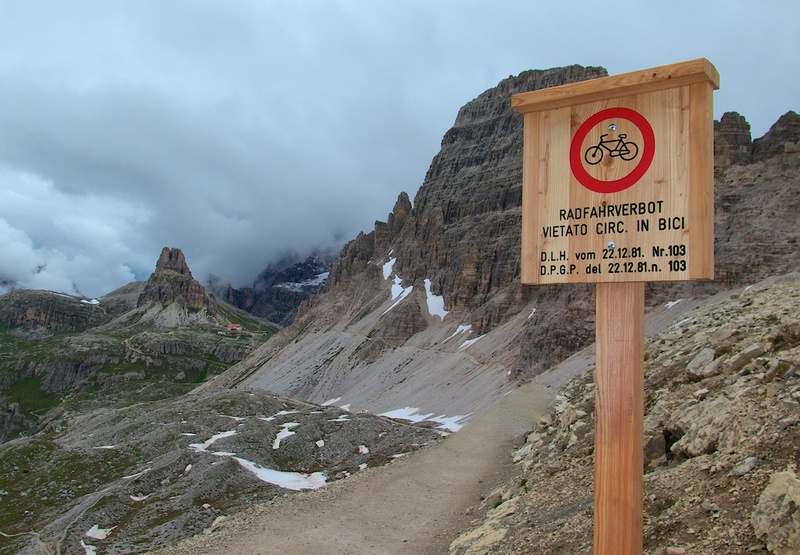 Forcella di Lavaredo – no bikes past here. Next goal: Dreizinnehutte in distance. 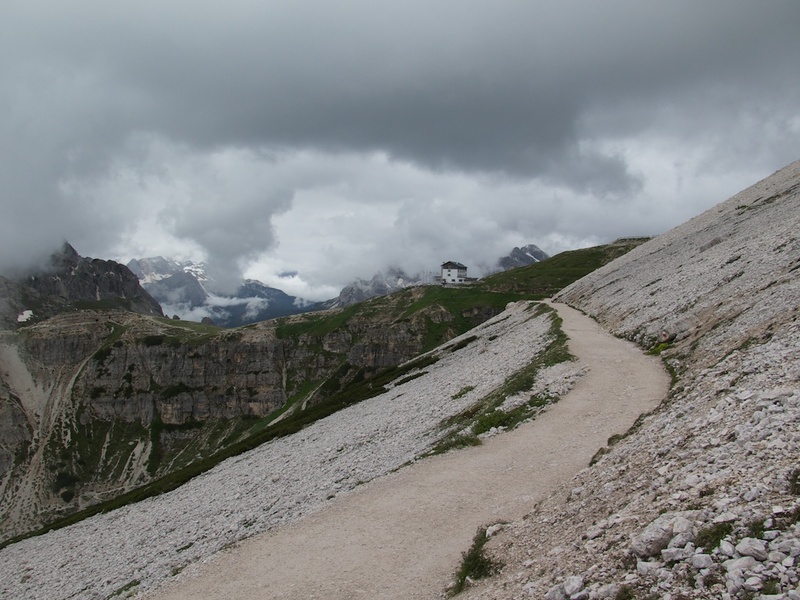 From Dreizinnehutte, we descended and then climbed up the trail behind the south side of the Tre Cime. A nice Norwegian lady pointed out climbers hanging from the face of the largest Cime. Crazy. The entire loop took maybe three hours. There are also plenty of other tougher trail options on the way, including several hikes up to WW1 fortifications and tunnels built into the mountains. I am repeating myself but this is an amazing place. The hike while not easy, is also not too crazy. I cannot recommend it enough. It makes a superb and challenging bike climb into an even more unforgettable day. Note: the map is only for the cycling. I should have GPS’d the hike too. Sorry. A very, very challenging climb to paradise. If possible, bring some shoes and hike higher. You won't regret the effort.